“I’ve spent most of my life in and around London”, Alexander Kotz professed as he prepared for his headline Shoreditch show: “It’s amazing to play in this city wherever it is, but I’ve seen countless artists play at XOYO – it will be incredible to play there and be a part of a venue that I’ve spent so much time in, even before Elderbrook existed”. 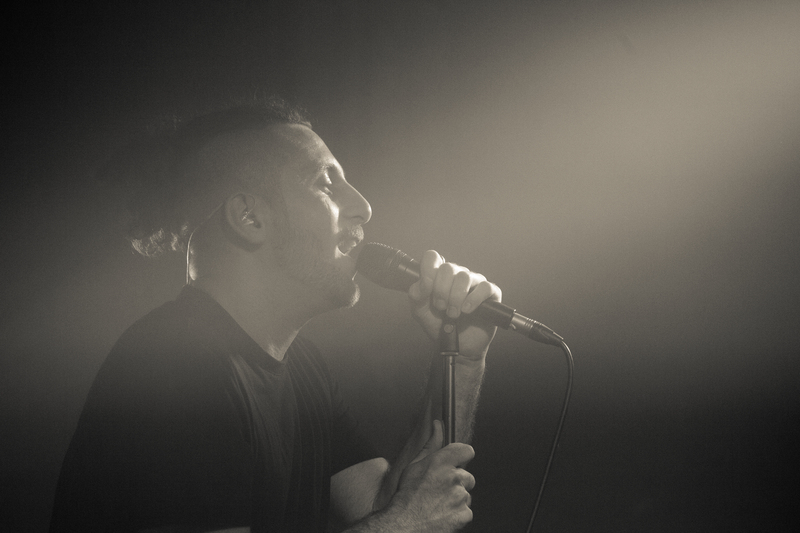 Descending the darkened narrow staircase, into the small, hot and soon-to-be sweaty basement venue, glitchy bass and tech beats had already begun to resonate through its concrete walls, with a far heavier, funkier sound than I had first anticipated from a show with Elderbrook at its helm. The packed out crowd were bouncing to broken rhythms from Shelter Point and Parx far before the London-born minimalist electronic producer emerged from the darkness to a greeting of heavy, frequent strobe lighting. 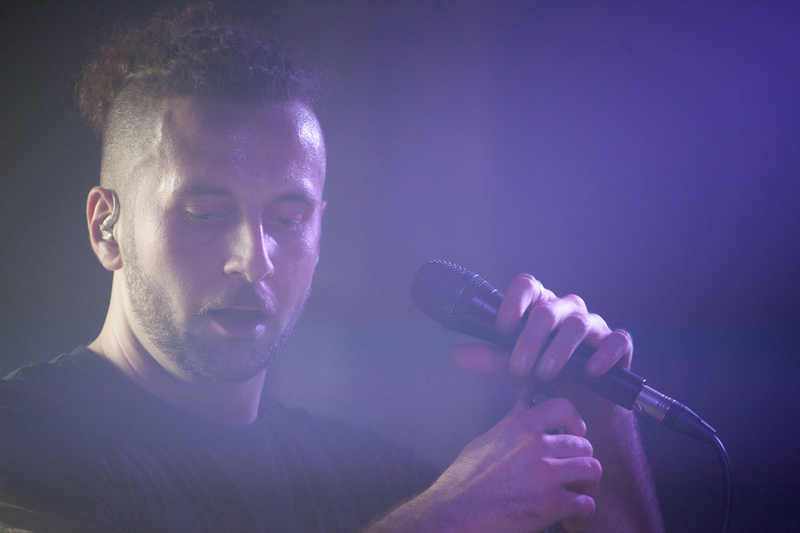 With influences ranging from Sam Cooke and Etta James to The National and Interpol, Elderbrook’s live show promised a great experience regardless of your musical orientation, but this experience is not the be all and end all for Kotz: “Making music is mainly just something I enjoy – It’s good to get lost in something, whether it’s a book or painting or music or whatever – the brain needs to chill. Music is just really a therapeutic tool for me a lot of the time but I’ve been really lucky to be able to do it quite as much as I have”. This was something that his fans clearly appreciated too. Lately, Elderbrook has made substantial progress in his career and is quickly gaining acclaim and exposure. His new single, ‘First Time’ – which plays host to a hectic array of drops, turns and strobes – has been received amazingly, with fantastic remixes coming from the likes of MANT and WiDE AWAKE. He told me: “The support for ‘First Time’ has been great so far. It’s been part of my live set for a while and, because of the amount of energy in the song, it’s been a lot of fun to play out. The other half of the EP is actually quite different; more structured and songlike, rather than the sheer madness of First Time”. ‘Madness’ truly is the perfect word to describe the energy of the track: XOYO almost felt as though it was shaking. Throughout the rest of Elderbrook’s set, Alexander’s soulful voice, crazy melodies, uptempo beats and glitchy arpeggios shone through despite his ever-changing creative process: “I couldn’t pin down a secret formula”, he told me: “Sometimes it’s a vocal idea I’ve recorded on my phone or had in my head that I build the track around; sometimes it’s just a snare or some exciting chords – It could be anything”. Kotz intimated: “Although my music is predominantly electronic, I do have a few guitars and a piano that I love to use whenever I get the chance. I produce on my laptop using Logic, so I can work from anywhere whenever inspiration may strike”. There’s a lot of talent hidden within the moniker of Elderbrook and, combined with a warm disposition, he’s a pretty nice guy too. Although Elderbrook’s success hasn’t been without obstacles. At first, he really struggled to get to grips with playing live: “Originally it took a while to translate my recorded works into something that makes sense live. I sing over all my tracks but I also have tried to incorporate guitar as well as recreating the electronic side through using my MPC and looping”. Luckily, the hard work all paid off: “I’ve been playing live for about a year and a half and it’s always changing as I try and incorporate new ways of translating my music into a live scenario”. 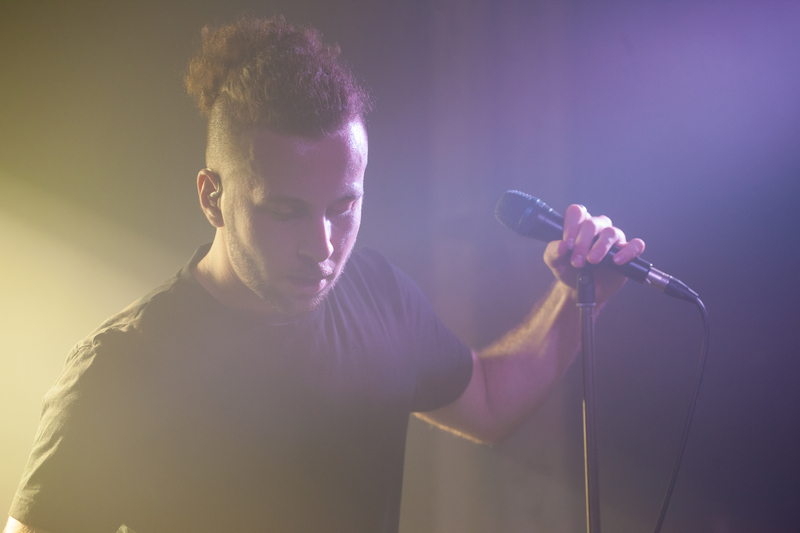 With London at his heart, its growing electronic music scene really matters to Alex, both under his own name and as Elderbrook: “It’s great that there is such a strong sense of community within music, especially electronic music, that can overcome things like the initial closure of Fabric and that can inspire new projects and festivals all the time. I feel like electronic music, as well as other genres, has a strong future in London. It will continue to grow as long as the community stays strong and supportive. I’ve spent a lot of time in places like Fabric and would love one day to get the chance to play there”. I, for one, would relish the chance to see Elderbrook sell-out Fabric, and with his fast-growing success and his infectious funky sound, I hope that day will not be too far off. Catch Elderbrook in LA when he plays The Echo on June 16th & listen to ‘First Time’ today!